It is most rare that BEAMS publishes cases from overseas, (and when we do it's usually from somewhere no too far away... say, France, Germany etc... our European neighbours as it were) and only when it involves photographic evidence that is good enough to pass all of our rigorous analysis; this is one such case and it has come to our attention from Holland. 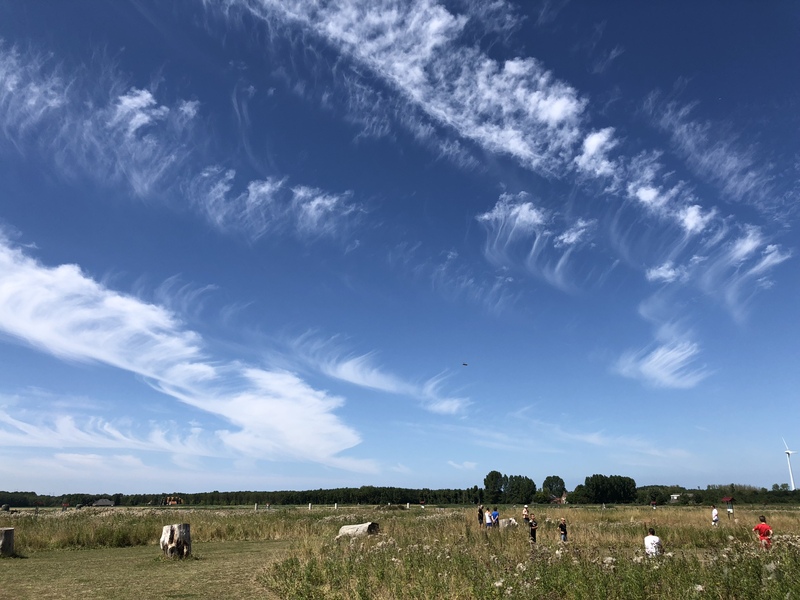 I was in the middle of a playing field of a footgolf playground in Spaarndam the Netherlands; it was a beautiful summer afternoon with nice clouds. 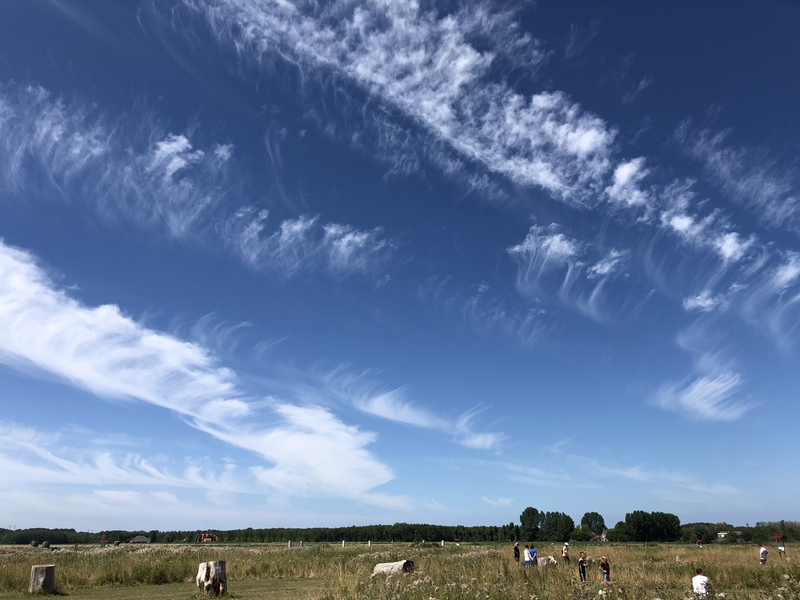 I took two pictures of the sky and horizon. The time between the two pictures was not more than 2-4 seconds. at the time all of us (8 persons) and other people in the field did not noticed anything. When I was home I looked back some photos of that day and noticed something odd in the second picture of the same event. 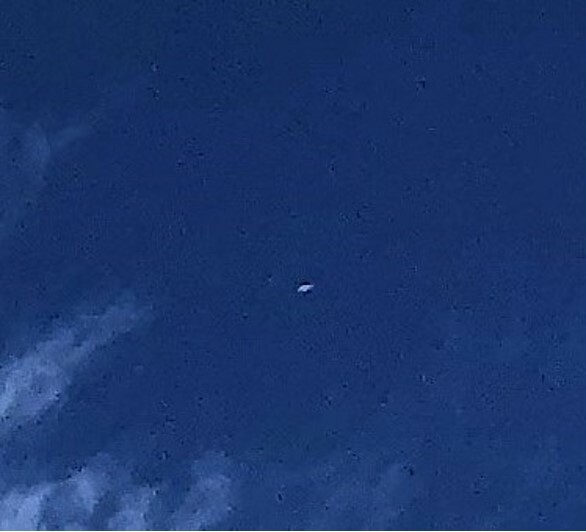 A triangle shaped object appears in the foto out of nowhere. At that time it was all quiet, no weird sounds or airplane or drone nearby. 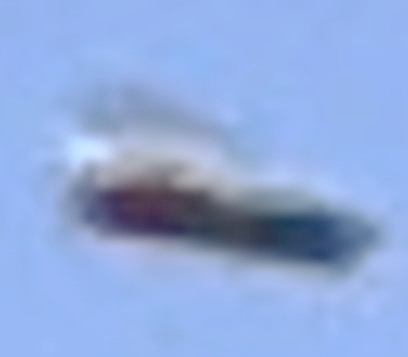 for me this is an UFO. BEAMS Comment: As the reader can see, this object briefly appeared in the sky at about a mile distant, and unseen at the time by the photographer; we can only imagine that it either moved at incredible speed... or materialized into, and dematerialized from our reality in a split second. It must have only been a two to four second interval between the two pictures. If you look at the walking gentleman in the foreground (with pink shirt on) you will see that he would only need to take two steps maximum between the two pictures, so time would be no more than three seconds, yet the object has moved a good distance between the two/three second time lapse! Travel/time duration of three seconds; distance approximately one mile (?) 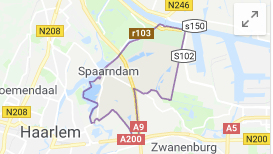 = Works out as an Average Speed of 1200.0000 mph:? Pretty impressive! Have treble-checked out the distance/time/& speed of the UFOs' movements, and it is correct using those figures. (+/-) One second flight over the distance of one mile equals 3,600 mph. So a two second flight over the same distance equals 1,800 mph. A three second flight over same distance equals 1,200 mph. As well as making these calculations our eagle-eyed researcher also discovered something else on Shot 1; he found yet another view of the triangle... something that Hilary and myself had not previously spotted.  It appears as though it is in a completely different position (right of center ground) but was initially missed, probably because it is facing head-on as you can see below: On the image its only a small speck, but here it is as an enlarged, cropped insert to section of said photo. After studying these pictures for some time we are left in no doubt of their authenticity - and we are positive that they show structured, controlled object/s. 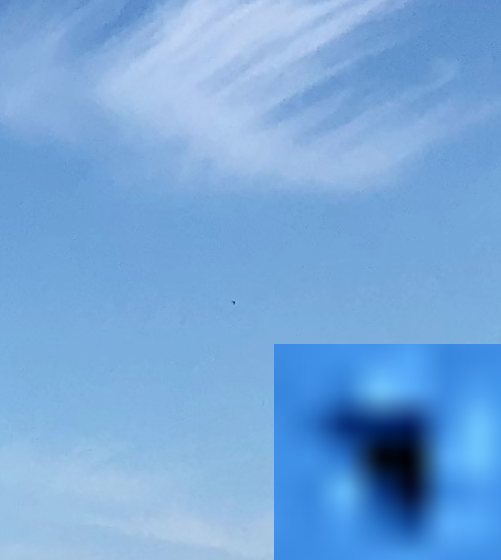 What we are seeing here isn't anything identifiable, (such as debris blowing in the breeze, or an insect, a bird, a kite, a man made drone or anything like that) therefore, this is yet another genuine aerial mystery.